Getting yourself into racing? Get a package for Ducati performance parts from us. 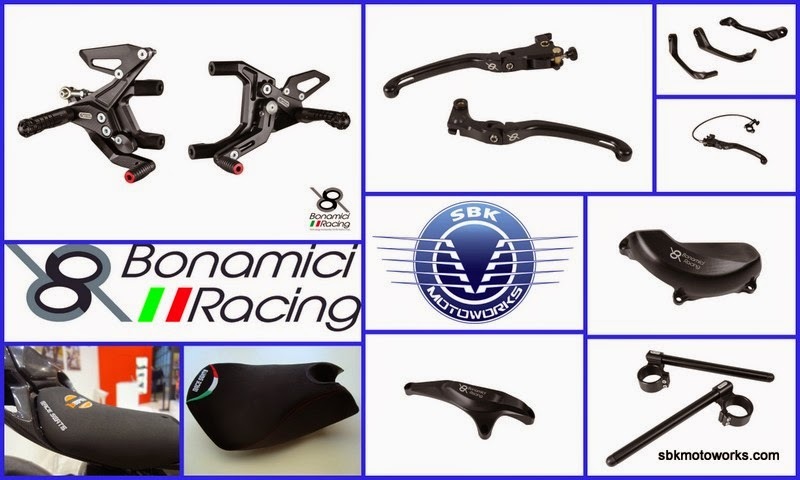 Bonamici Racing (Made in Italy : racing handle bars, engine cover protections, reverse shifter rear sets, racing brake and clutch lever, brake lever with remote adjuster and brake lever protections). Race Seats (Made in Italy) for your race fairing, a choice of many MotoGP & WSBK riders. We also offer carbon fiber race fairing & fiber glass race fairing for Ducati 1199/899.